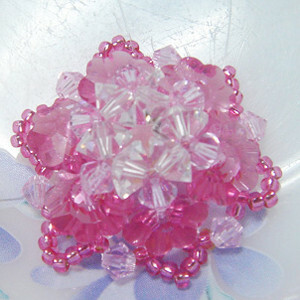 You are going to want to check this Pretty in Pink Flower Motif tutorial. These pretty motifs are great for any season. Weave together crystal and seed beads of varying pink hues to create this stunning look. Wear the flowers on their own, or turn them into a DIY pendant or homemade bracelet. The possibilities are endless for this pretty pink project.